White tea really is a super tea! The health benefits of white tea include: reduced rick of cancer cardiovascular disorder and improvement in oral health. It has antioxidant and anti-aging properties which help in maintaining good health and healthy skin. It protects skin from the harmful effects of UV light. With its antibacterial properties white tea protects the body from various infection causing bacteria. It wasn’t until the 1890’s that China began exporting White teas! 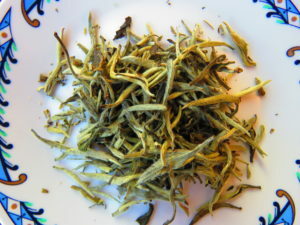 The reason for this change in the industry came after 1885 when varietals of tea were isolated to make Silver Needle and other specialty white teas like this Pai Mu Tan. Prior to this development, there simply wasn’t enough white tea to go around. In fact, for much of the time since it was developed during the T’ang Dynasty, (618-907 AD) White teas were reserved for members of the Imperial Courts. The reason was simple. 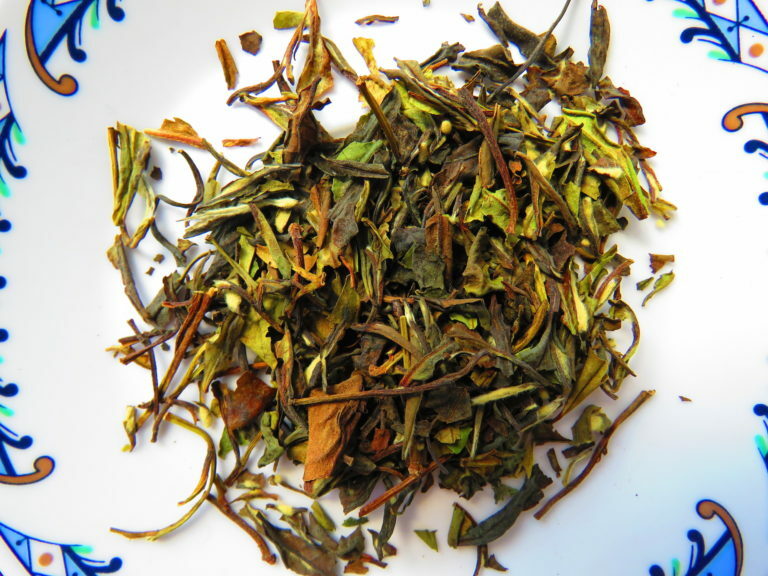 White tea was, and still is, considered a true tea owing to the fact that it undergoes so little processing. This fact, coupled with its delicate flavour meant that it was pure enough for the elite of society. Since the early days of white tea export, the process by which the tea is made has largely remained unchanged – the fresh leaf is delivered to the factory on foot, withered, lightly rolled and then dried naturally – no further processing required. 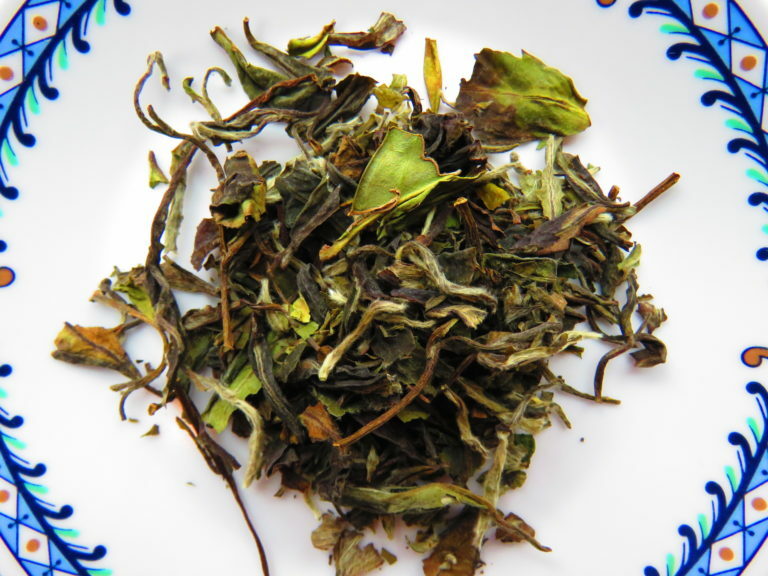 This organic Pai Mu Tan is an excellent example of this simplicity of production. The leaf is full and ranges in colour from pale green to silvery with lots of nice tips. 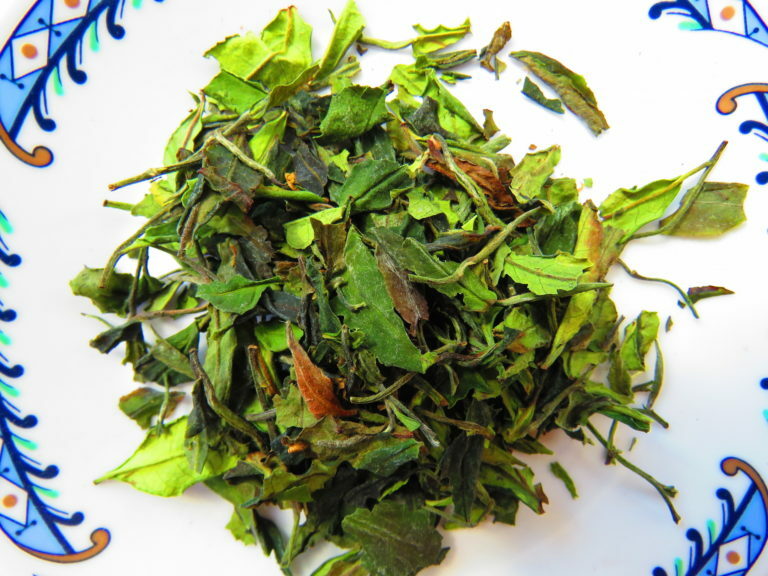 The contrast between the leaves gives the tea a very natural look that in turn gives way to a very pure, natural cup. Rounder and more full-bodied than Silver Tip grade, Pai Mu Tan produces a cup that dazzles with subtle layers of peach and floral notes.